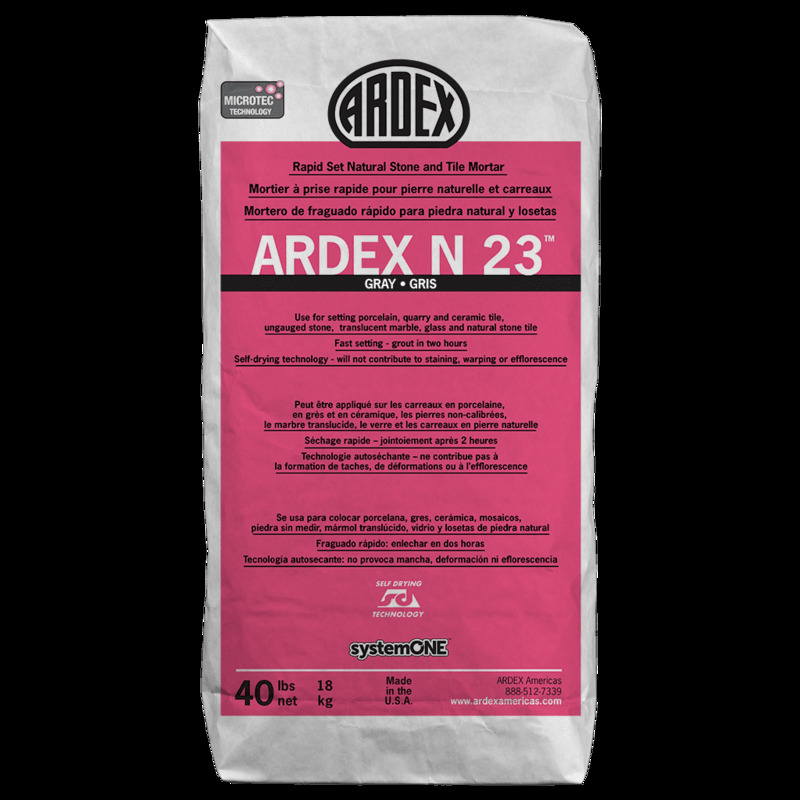 With proprietary Self-Drying Technology, ARDEX N 23 is ideal for the installation of moisture-sensitive natural stone preventing warping, staining and efflorescence. This item weighs: 42 lbs. per unit/each.